Delhi chief minister Arvind Kejriwal has lashed out at the Supreme Court order in the Delhi govt. Calling it an injustice for all of Delhi, Kejriwal asked how the Delhi government was supposed to function without any powers. 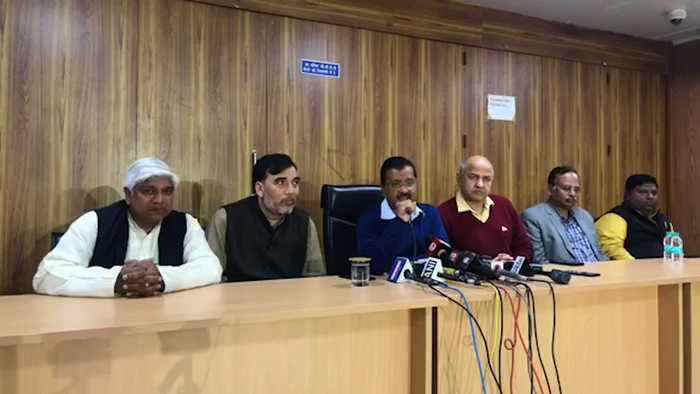 Kejriwal added that the order was unconstitutional and went against the tenets of democracy. A two-judge bench of the Supreme Court had ruled unanimously that the Anti-Corruption Bureau will remain under the Centre’s control. On the most contentious issue however – that is who will have control over transfer of bureaucrats in Delhi - the top court left the decision to a higher bench.